BE BETTER CONSUMERS and do these practical suggestions (and TIPS!) that will help you save more money on electricity. It’s not the ULTIMATE list of hints BUT it’s something easy and you can do. 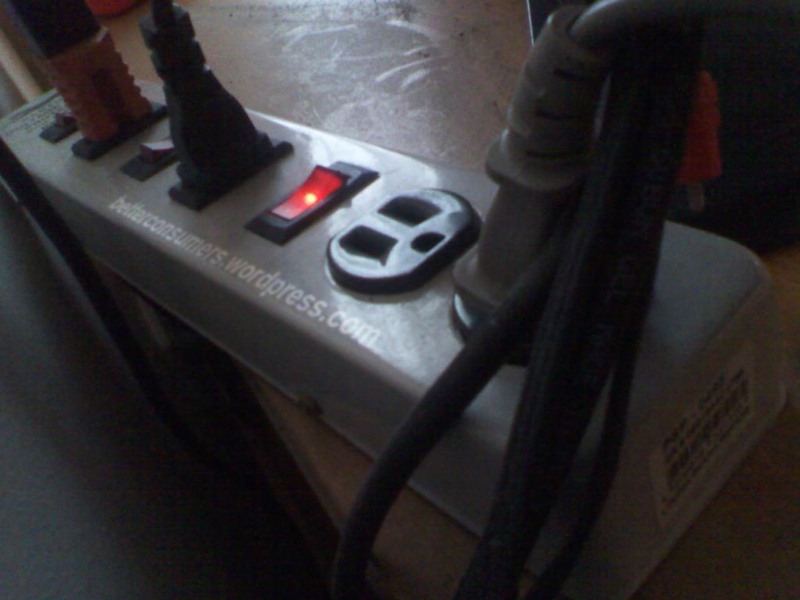 GET the HABIT of UNPLUGGING UNUSED appliances in your home. I can easily reach down on this than trying to reach behind appliances. TIP: INVEST in power strips to help you turn off unused appliances all at the same time OR without bending too much NOR reaching behind hard to access places. Easily (albeit, discreetly) install these behind your television, counter-tops or on walls for faster access. energy to heat the coils of your electric stove. Tip: SAVE UP to buy Induction-powered stoves (Have SM Appliance Stores or Automatic Centers give you a demo) that heats induction-type pots and pans in ten seconds – GUARANTEED! They’re more pricey (that’s why I said, SAVE UP!) but it’ll save you more money in the long-run. 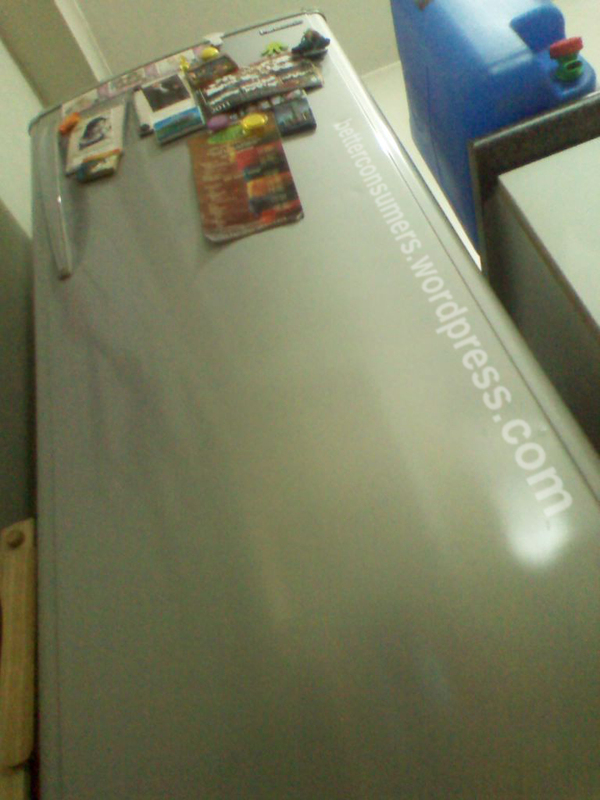 Maximize the power of your refrigerator. KEEP YOUR refrigerator at a CAPACITY or a much items as you can. Over capacity wastes energy when cool air cannot circulate or when it doesn’t cool any item (under-capacity) at all. COVER (Read: SEAL) any liquid container inside your refrigerator. The water’s evaporation makes the fridge work harder. THE ENERGY REGULATORY COMMISSION (ERC) approved Manila Electric Company’s (MERALCO) rate petition of 8 cents this month of August (2011). I read that this was WAY LOWER than what the Lopez-owned company’s request is. We need to realize that the price of this basic commodity will always go up because of the public’s demand for electricity and we don’t use alternative or renewable forms of energy (like solar or wind-generated power). So if our government and private sectors do not do their job to keep our national and personal economy at bay then prepare to shell out more. Great tips for the household, bro. Keep ’em coming. 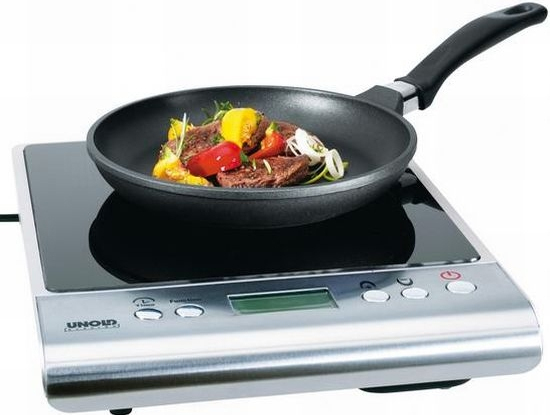 One caveat about induction cookers is that you need to make sure that you have IRON pots and pans to use with it otherwise the induction cookers cannot heat it up. Remember that these cookers use magnetic induction to heat up the cookware. That means it won’t work with the 90%+ pans in the market (or households) which are made from aluminum alloys. A quick test to see if your pans and pots can be used with induction cookers is to see if they will be attracted by magnets. If yes, then it is probably induction-compatible. Thanks, Tony, for the tip on using magnets as a way to test pots and pans.